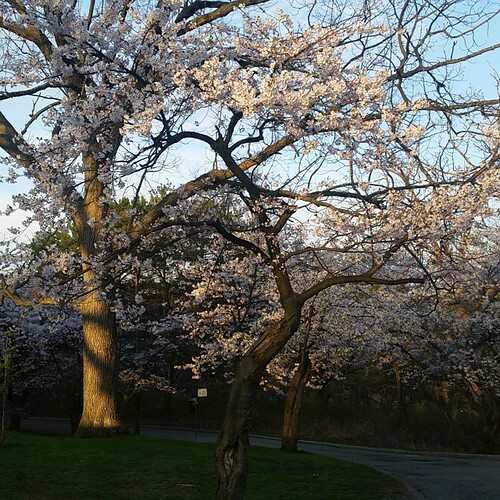 I just rode my bike to High Park to see the cherry blossoms in bloom. I make the pilgrimage annually to shoot the Somei-Yoshino cherry trees, and here are a few of my favourite pics from this year. And here's something they've never had before. Cool. that's something i've never managed to see in person. 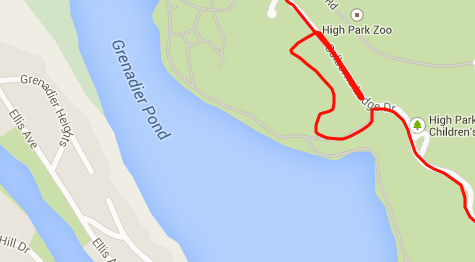 I was in high park twice last month but of course that was too early. Not very long... in fact, if you wait until next weekend, you'll likely have missed peak bloom. Were they late last year in comparison to this year? wow - they have really blossomed since Sunday afternoon when I was there doing some geocaching - they were still buds. This year and last year were similar, and both were later than usual. 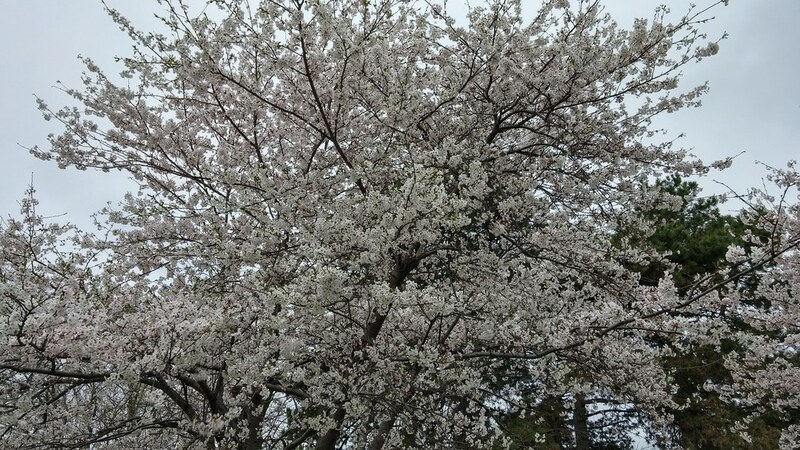 Three springs ago, they bloomed weeks earlier than this. @Mike - The blossoms will be gone by "next" weekend, meaning this coming weekend, May 9/10? Not gone, but past peak... they aren't in full bloom very long, and it's all happening right now. And yes, I mean May 9/10. Hopefully they're still pretty for ya! I think they should be fine by Friday, but basically they're toast when it rains. 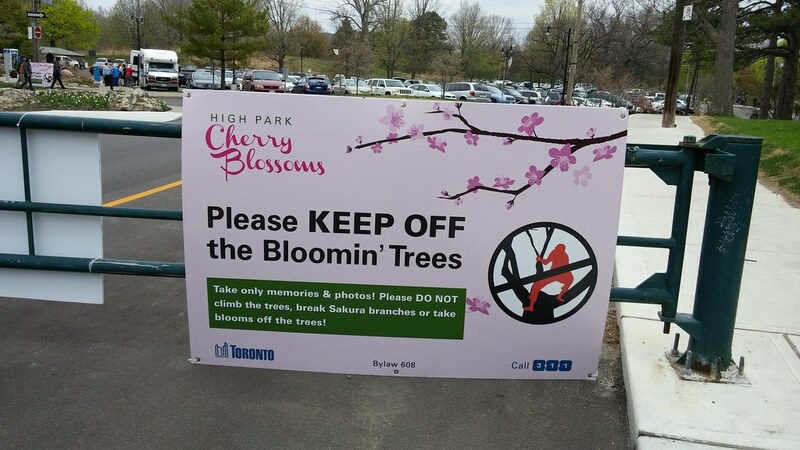 Some of the cherry blossom trees in High Park will be fine this weekend. 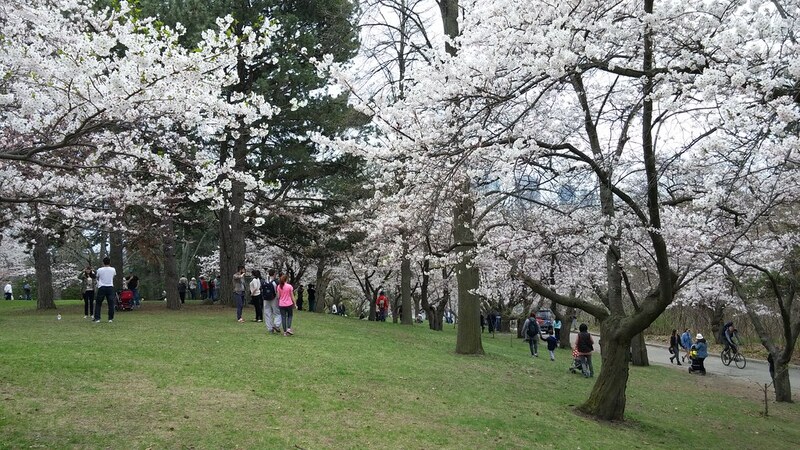 I once made a map of my favourite spot in High Park for the cherry blossoms. These guys are at full bloom now. Dropped by early this evening. The light was pretty on the trees. The park was crawling with people holding two and three cameras at a time. It was nice walking around - cool, happy vibe. 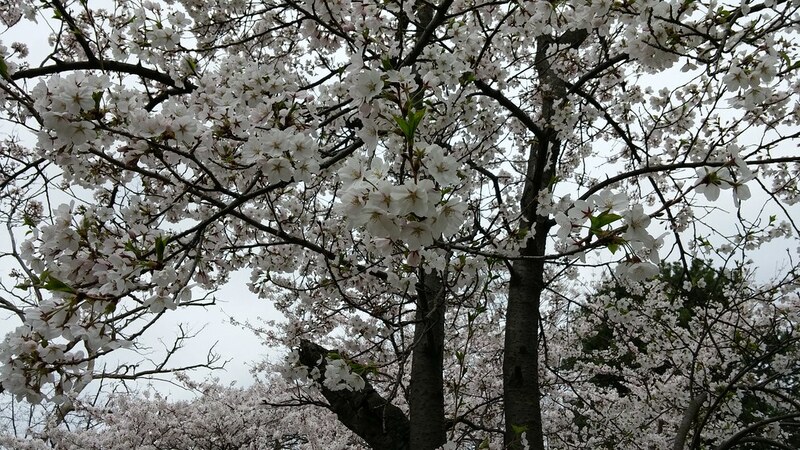 The blooming period begins when 20 per cent of the cherry blossoms are open and ends when their petals fall. 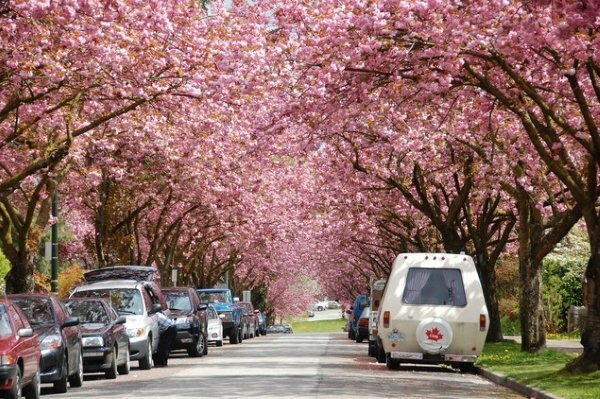 “Peak bloom” starts when at least 70 per cent of the blossoms are open. Once open, flowers last from four to 10 days depending on the weather conditions. I don't remember them lasting 10 days, but apparently they sometimes do! Ah, lovely pics of those beautiful trees. Thank you for sharing. Check out geocaching.com for all you need to know. It's awesome. Nothing compared to what you see in Vancouver, especially in the West End, Davie Village, etc. I live 1 block over from Robson & it's stunning.